The second stop in the Chuck Ibis Down Under road trip was Tasmania’s Blue Derby. 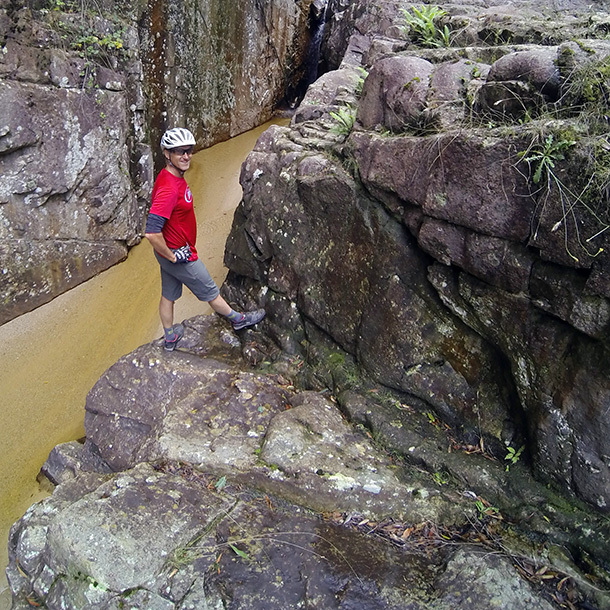 Tasmania is HOT when it comes to Aussie MTB destinations. 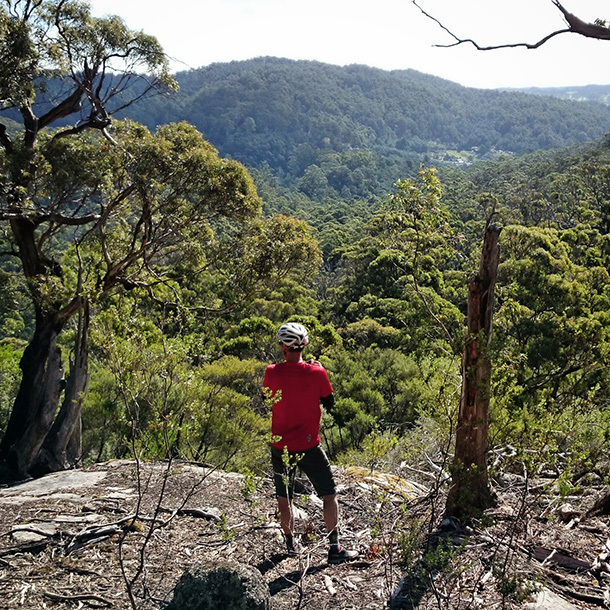 The new network of trails being built at Derby certainly play a big part in that, but really it’s the combined lure of all the MTB (and food and drink) goodies Tassie has on offer that makes it impossible to resist. Our riding wishlist included Hollybank, Derby, Blue Tier and the North South trail. Not too shabby eh?! Following on from Mt Buller, I took the van, bikes and gear across Bass Strait on the Spirit of Tasmania, picking up Chuck from Launceston airport early the following morning. Having heard numerous stories about rough seas and copious vomiting I was pleasantly surprised at how uneventful the overnight ferry ride was. Bummer it isn’t cheaper! We had planned to ride Hollybank first thing in the morning, followed by Derby in the afternoon but Tassie had other plans. Heavy rain and a chilly southerly winds during the morning lead to an extended breakfast in Launceston. By late morning the weather had cleared but commitments at Derby meant we’d have to come back another time for Hollybank. Bummer! Derby though turned on a spectacular afternoon! After lunch at the Tin Centre we took to the trails. The short version Blue Derby is extremely impressive, and that’s not even factoring in the massive amount of trail yet to be built. Within meters of leaving the trail head at Derby you’re riding among giant ferns, and the seemingly unspoilt (or more accurately amazingly recovered) rainforest that continues kilometer after kilometer, hour after hour. Green and Blue climbs, big views, flowing descents. Blue Derby Stage One has got it all, including hot showers and bike wash bays for when you’re done. As we flowed down the final descent from the Big Mama tree down towards the township I realized in hindsight that half a day at Derby isn’t really enough – especially the first time around. We had ridden the entire Stage One network but were left with no time to explore goodies such as Devil Wolf and revisit favorite sections of trail. With the new Dam Busters trail having opened since our visit to Derby the solution is easy. Get back to Derby ASAP!